The weather outside is turning colder and that means the house is as well. Luckily our home is small and well insulated, sometimes too much, so we crack windows to make sure the air stays fresh. Usually we don’t need to turn on the furnace until sometime after the first of November; this year looks to be no different. Yesterday, we woke up to a chilly 56 inside (29 outside), that’s pretty normal since our nighttime low setting on the furnace is 55. Usually our thermostat is set at 60-63 during the day. (this would be considered warm for Kristen from Going Country who wakes up with her pillow frozen to the wall during the winter). We’re definitely cold weather loving people. Long pants, wool sweaters and socks are the norm for us; a hot beverage in hand is also common. I’d rather keep my house cold because it makes the outside temp seem a little less harsh, and I grew up with the same kind of thing. I remember often sitting around in the evening in my winter coat because my parents kept the house so cold. At night we sleep under a thick heavy wool blanket handmade in Colombia lovingly referred to as “Big Nasty” – yeah it’s that warm. We couldn’t keep the house any warmer than 55 or we’d burn up under this blanket! Soon we’re hoping to put in a chimney so we can finally bring home a wood burner that someone is giving us; we have tons of firewood from taking all those trees down in the spring. Hopefully the house isn’t too hot, I guess we can always crack some windows to cool it off; that will make for healthier air inside anyways. How cold do you keep your house in winter? Are you a hot or cold weather lover? And of course eating winter produce in winter helps me reconnect with the earth’s rhythms and with the seasonal reality of my forebears. It reminds me that to everything there is a season and a time. It helps me to let go of my desire to have whatever I want, whenever I want it, instantly. It helps me appreciate that which I have been given and to accept it gratefully. A long night in the Hunger Moon will be warmed immeasurably by a thick, creamy bowl of Cream of Parsnip Soup. Eating it with a chunk of good aged cheddar on a slice of dark bread, it is a little bit of heaven on earth. It is no sacrifice at all, just a return to the simplicity and beauty of eating with wisdom and appreciation. I was over at my mom’s yesterday looking at the edible garden. Most everything was nipped by the frost and cold temperatures. The tomatoes are gone for the season; green beans will not grace my plate until next summer. I picked the last few peppers and those will be enjoyed over the coming week. That’s not really a problem though, we have kale to eat and the peas will produce for a little while longer. A good number of carrots are still snug in their beds of soil and will remain there until we put the garden to sleep for good. At the farmer’s market I’ve been buying raddichio, bok choi and other cold season vegetables. I no longer crave a fresh tomato out of season, but willingly look forward to brussels sprouts, celeriac and other vegetables that star in winter. I have yet to grow many of these cold season vegetables in my small garden, but hopefully with all the new space I’m adding in a few years I’ll be able to experiment with them. I’m thankful for the local farmers that grow them so I can get used to eating them before I try to grow them in my garden! What’s your favorite cold season vegetable? 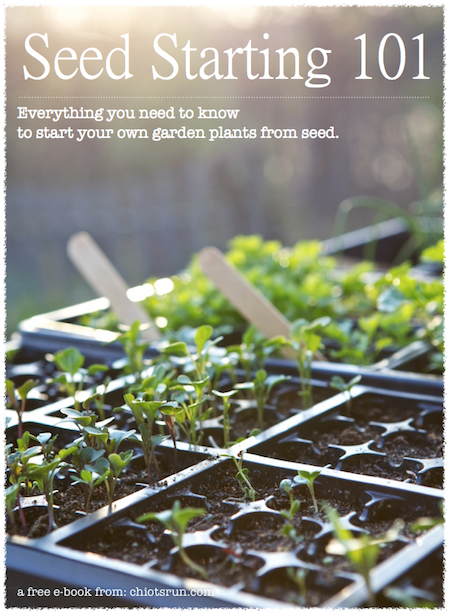 Are you planning on growing any new vegetables in your gardens in the coming years? 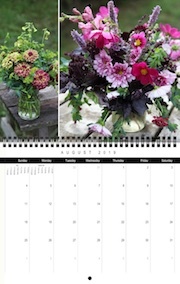 Surely the most cheerful and hopeful of the fall catalogues are those of the spring-bulb growers. Two weeks ago I placed a rather large order for spring flowering bulbs, around 2500 total (YIKES, I know). Most of my money was spent on bulbs that will naturalize, like narcissus, crocus, muscari and bluebells; making my workload a little lighter in years to come. I love tulips, and even though many get eaten by deer, I ordered a few hundred of those to plant as well. We’ll see if I can keep the deer away from them. Needless to say, I will be spending every waking moment of nice weather and sun we get over the next couple weeks planting these bulbs. I even made a video about planting bulbs for the Your Day blog, check it out. Next week I’ll post about which varieties I ordered and where I’ll be planting them. It looks like this coming spring will be quite beautiful here at Chiot’s Run. Will you be planting any spring flowering bulbs this year? If you remember, we have a small garden pond that we put in last spring. It used to reside in my parent’s garden, until they replaced it with a much larger pond. We put fish in it last year, which promptly all got the ick and died. They were replaced with fish from my parents pond that survived for quite a while, then died right before winter. This spring we put 10 small feeder goldfish in the pond; they all survived. Now I’m wondering if I need to put a small heater in the pond for winter. My parents always had fish survive in the pond, but they had a spring running into it which kept it from freezing. I know it doesn’t freeze through to the bottom because my water lily survives, but I’m wondering if the fish will survive. Does anyone have any advice for me on what to do with this pond over the winter? heater, on heater? We live in a zone 5a, so it can get pretty cold in the winter. What zone is your garden in? Do you deal with cold or heat as your most extreme temperature? I was out working in the garden earlier this week and noticed that most of the things blooming in my garden happen to be purple. I’m not quite sure how or why this happened, but it’s kind of funny. Most people have lots of marigolds and mums blooming this time of year because I don’t really have any in the garden. I’m glad all these purple flowers are blooming because purple is the color for Rett Syndrome Awareness and October is it’s month. I didn’t know what this disease was until my friend Kelly’s daughter Brooklyn was diagnosed. All month long I’ve been wearing my purple gloves and thinking about Brooklyn when I see all these lovely purple blooms in my garden! What colors dominate your garden right now?